Ubisoft recently revealed that famed composer Jason Graves, who won a BAFTA award for his atmospheric music for Electronic Arts’ hit 2008 Dead Space, will be composing the score for their eagerly awaited Far Cry Primal game. And the composer, who was also behind movie scores like the one for the 2008 movie The Collector, has said that he’s “a long-time fan of the Far Cry series” and thought he was “a good fit for Primal”. And it is clear that Ubisoft’s games have mostly featured great music, and the soundtrack for their last Far Cry game, Far Cry 4, featured great themes that helped immerse players in the game’s Himalayan setting, and even won a BAFTA award in 2015. And other games like Assassin’s Creed II also had pretty good music, with that game’s soundtrack being arguably amongst the best to date. Jason Graves was behind Dead Space’s great music, and is now working on Far Cry Primal. 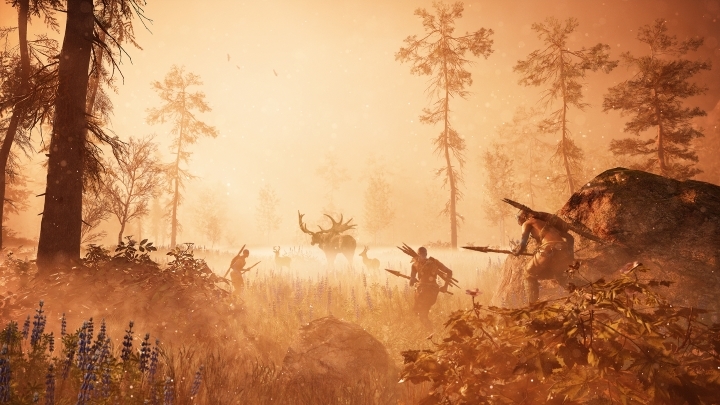 Far Cry Primal is certainly shaping up to be a good entry in the series, with a recently released trailer showing the brutal tribal warfare that will feature in the game, and making it clear that Graves music will have a big impact on the game. And Graves has said that in order to create a game’s soundtrack he first gets a “feel for the surroundings, characters, story, moods and overall emotions the game is conveying”. 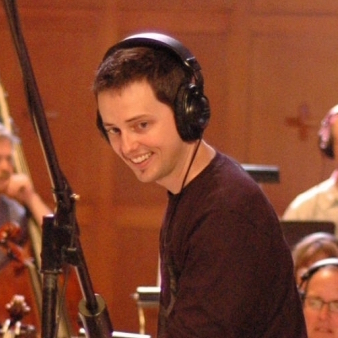 And the composer is using some pretty unconventional means to capture the feel of the time period, even resorting to “plants, clay pots, bamboo, gravel, bricks, firewood and stones of all sizes” in his recording sessions. Also, since the game will feature 3 different tribes, Graves has composed different themes for each, too. Protagonist Takkar’s Wenja tribe has a “reflective, solo flute” theme, while the cannibalistic Udam tribe’s theme is “very slow and brooding”. And Graves even used an Aztec Death Whistle to create the theme for the Izila tribe, who are light-footed and rely on fear to beat their enemies. And it looks like Far Cry Primal, regardless of its Stone Age setting, will turn out to be another great Far Cry game, hopefully one that plays and looks as good as it is likely to sound. And given that the game’s release date is just around the corner, gamers don’t have much longer to wait in order to find out whether Ubisoft’s latest game will turn out to be another great entry in the long-running Far Cry series. Note: Far Cry Primal will be released on February 23, on PS4 and Xbox One, and March 1 on PC.